October 20, 2014. NYC. 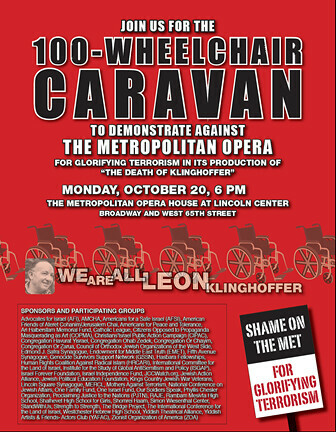 100 wheelchair caravan protest outside the Metropolitan Opera. The press conference began at 5 PM. There was LOTS of press. 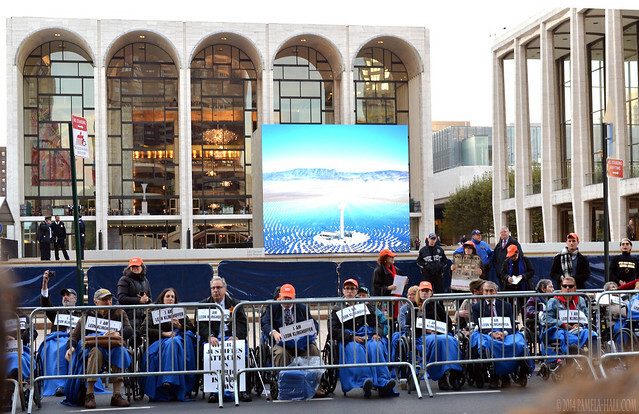 The media came out to watch, listen, film, take pictures, even though they did not intend to abandon the approved PC narrative defending The "Death' of Leon Klinghoffer as ART. 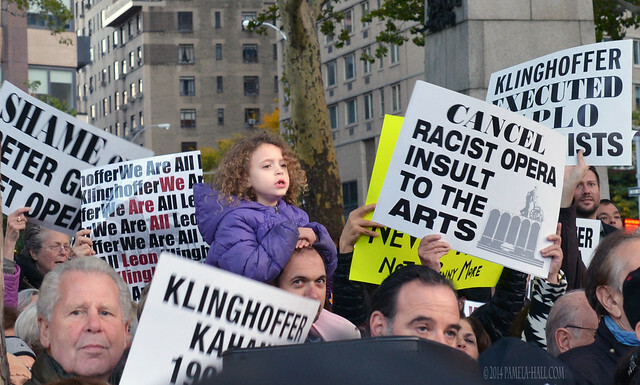 Anti-Semitic 'art' is A-OK when done by the LEFT. They can OFFEND. Part One Slide show is of the crowd, the wheelchairs and the signs. 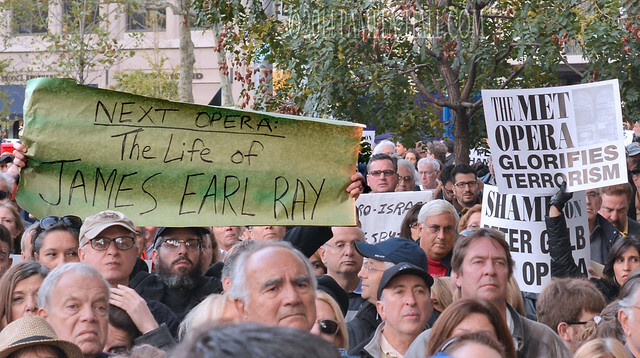 The crowd was calm but determined, standing firm for hours across from the Met. Listening. Cheering. 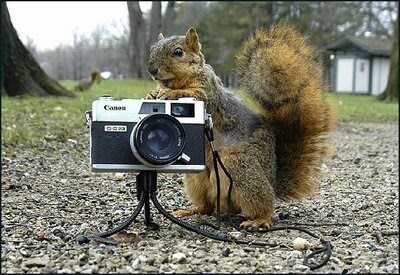 Protesting. SILENT NO MORE! The speakers were fabulous. 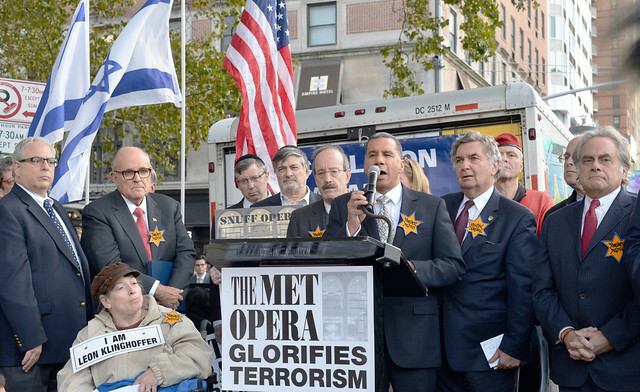 All speaking out in opposition to the OFFENSIVE and boldly anti-Semitic 'opera' debuting at the Met this night. Former New York Mayor Rudy Giuliani was the keynote speaker. 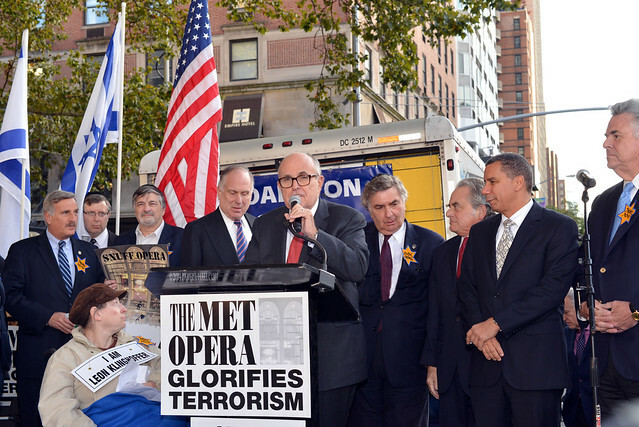 Other major speakers included Congressman Peter King (R) who currently serves as Chairman of the Sub-Committee on Counter-terrorism and Intelligence and formerly served as Homeland Security Chairman, Queens Borough President Melinda Katz, Former NY Governor David Paterson, Criminal Defense Attorney Ben Brafman, Rabbi Joseph Potasnik, ZOA President, Morton Klein, Congressman Eliot Engel and NY State Assemblyman, David Weprin AND many, many more. Part TWO Slideshow is of the speakers. NEXT is the the Video playlist of ALL the speakers, representing a cross-section of religion and politics. No dainty versions of the truth. Honest. Sobering. Thoughtful speeches. 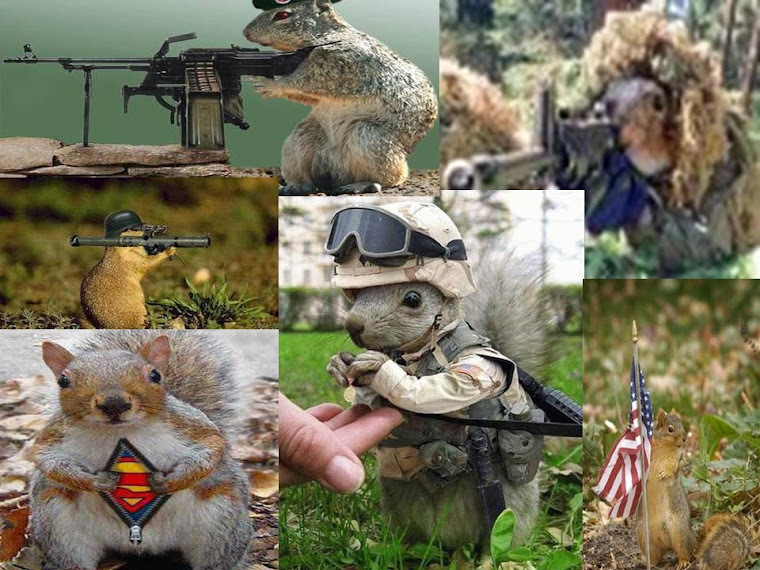 Intense, yet, inspiring. Clearly, we can NO LONGER "Make Nice", trying not to offend, with the hope of "keeping the peace". 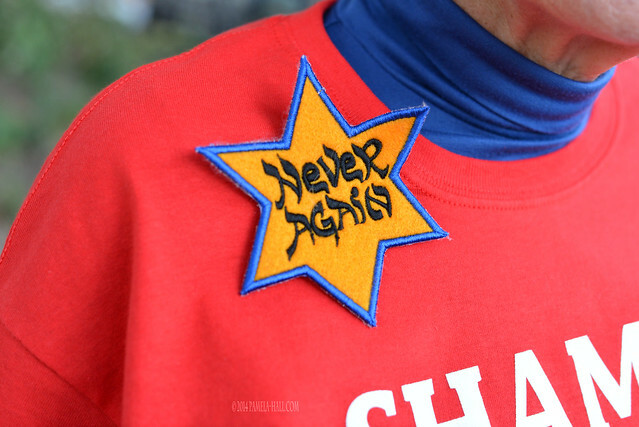 We must NOT REMAIN SILENT. 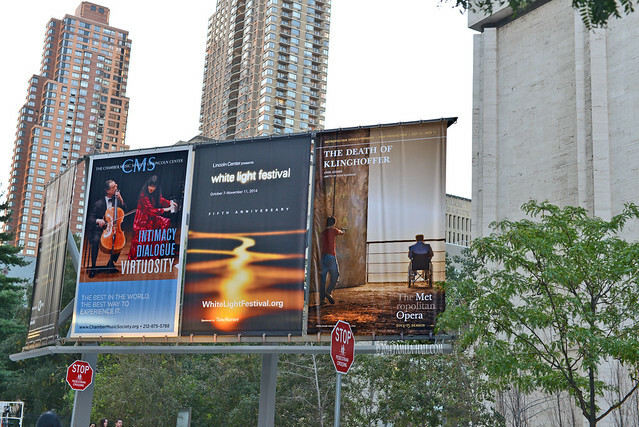 We are ALL Leon Klinghoffer!